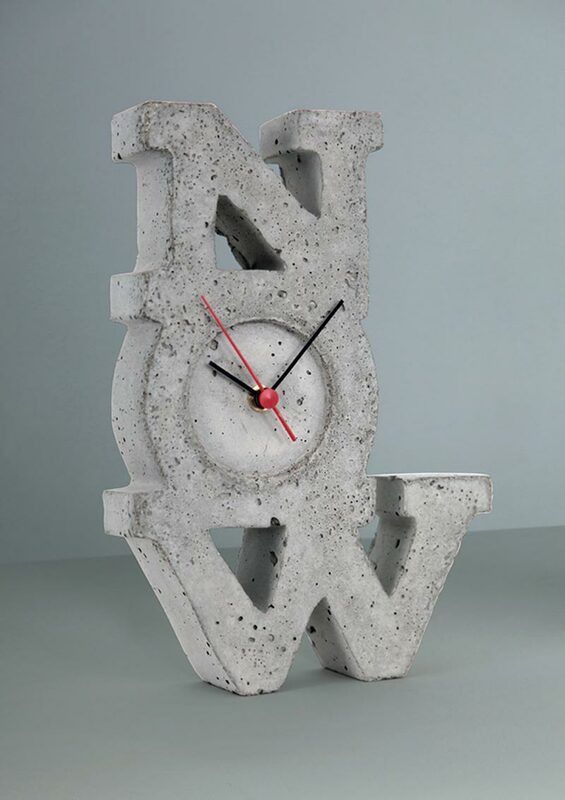 Type experts are not the only ones who enjoy the beauty of letters. Of course, regular people will not be obsessed with an ampersand’s curves, but they’ll be able to enjoy nice typographic decoration. 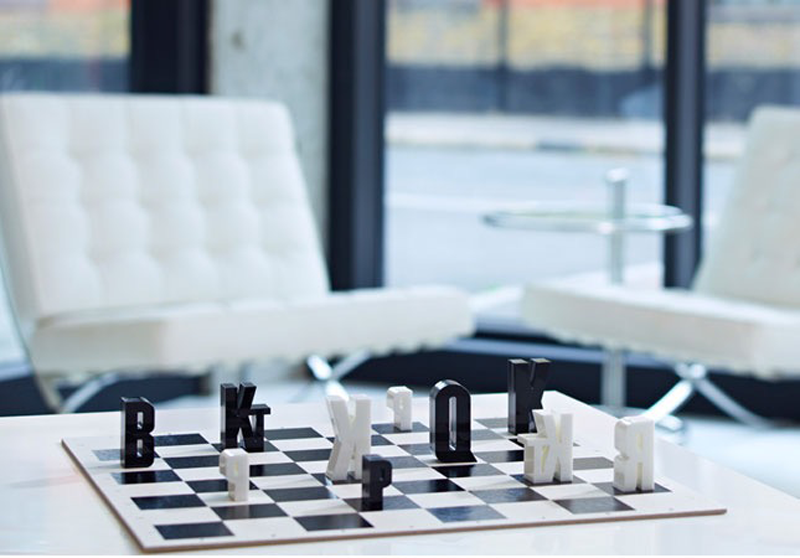 How about a more conceptual chess set that will look great on any table? 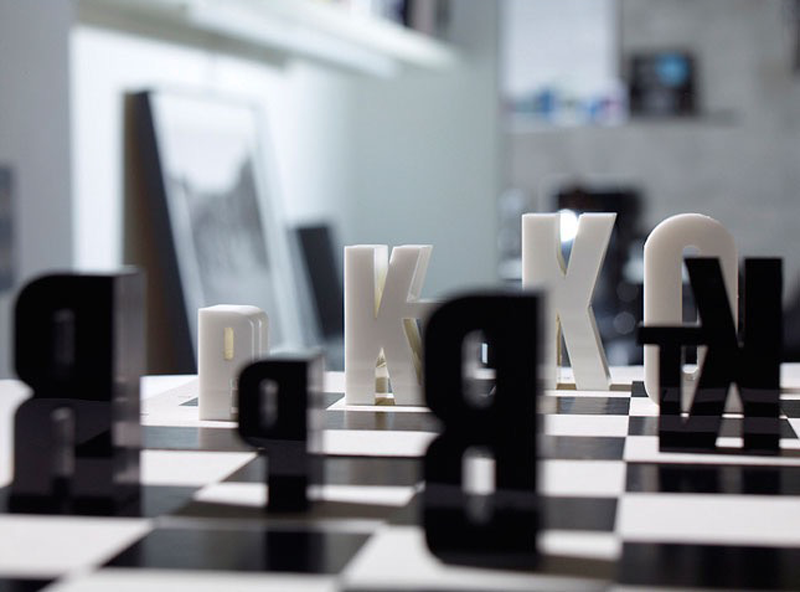 Created by Hat Trick, this type chess set is a great way to combine your love of typography with a passion for chess. 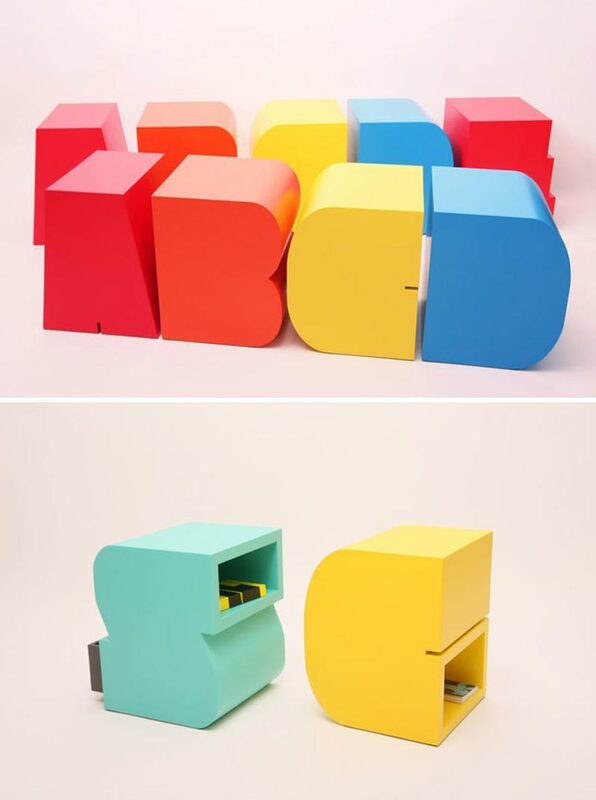 Stylish bold type stools painted with bright colors. These are useful too. 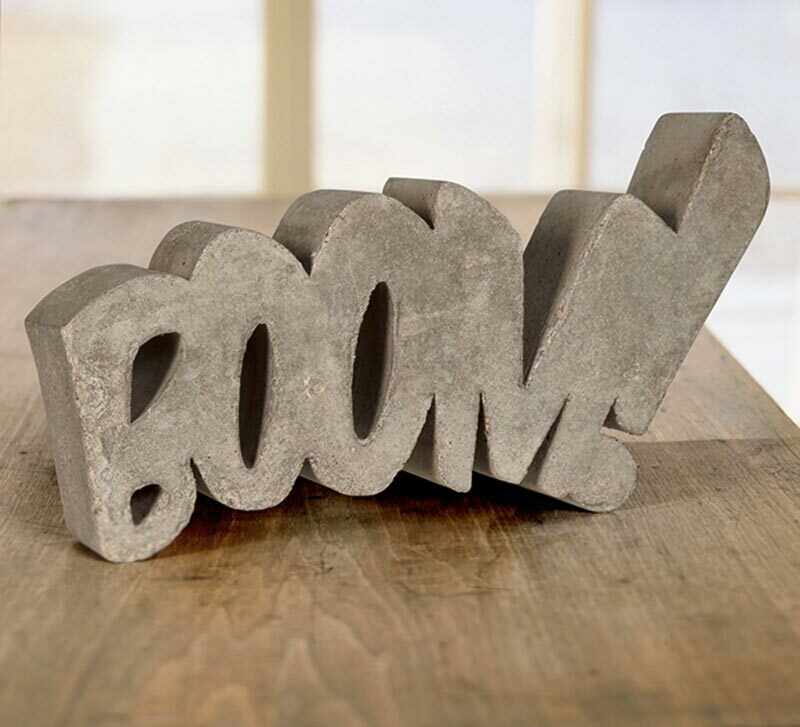 “Boom”, “Now”, just two examples of the words that have been turned into concrete interior decoration, thanks to good design and type by HandMadeFont. 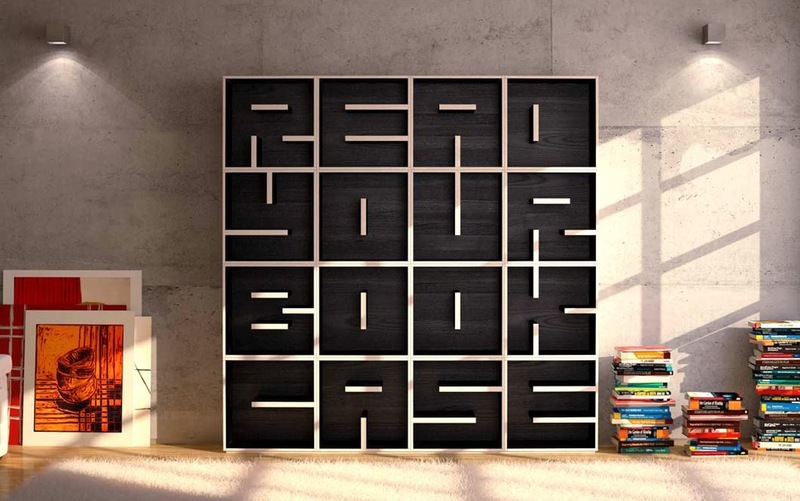 How a bookcase that gives you orders? These are good orders, as this furniture by Saporiti just reminds you that you should read your books. 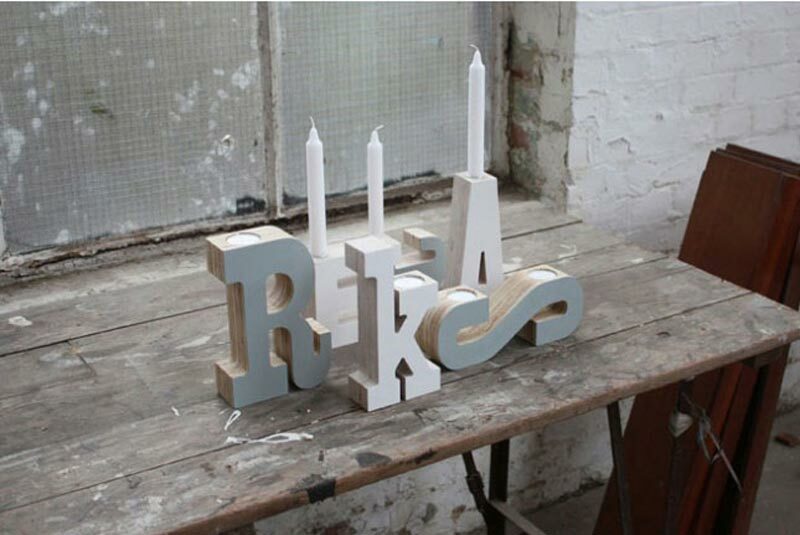 The very libre candle holders by Studio Yra are a thing of pure beauty. Yes, some people still buy printed calendars. 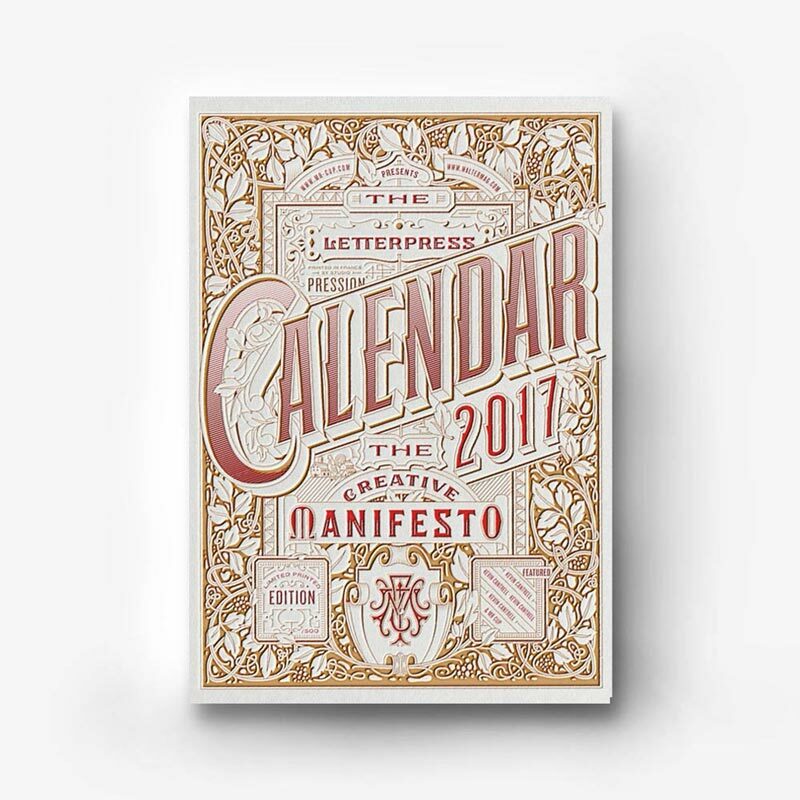 And yes, once you see how gorgeous this letterpress calendar is, you’ll want to buy one to decorate your home. 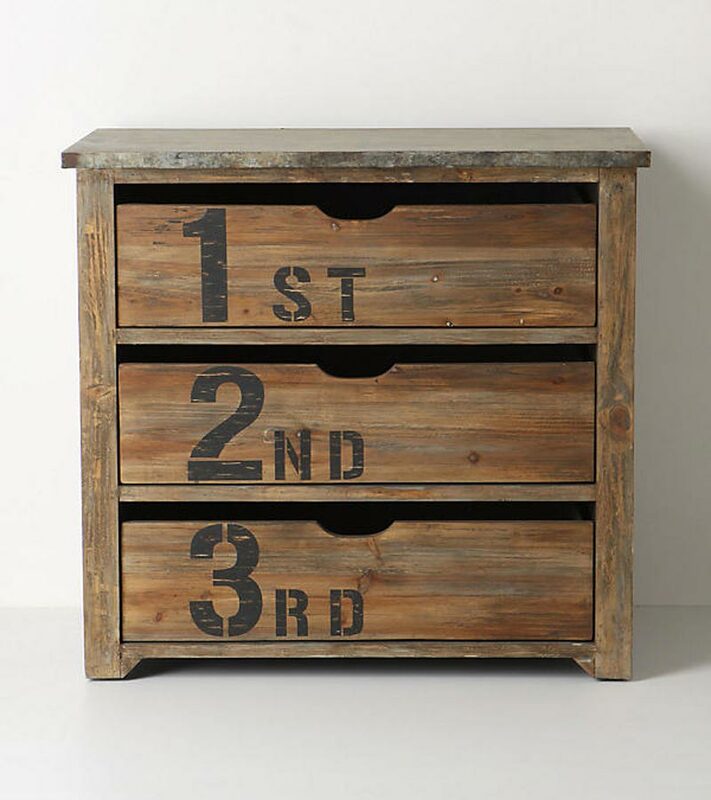 A vintage dresser with a rusty look-and-feel. Beautiful! 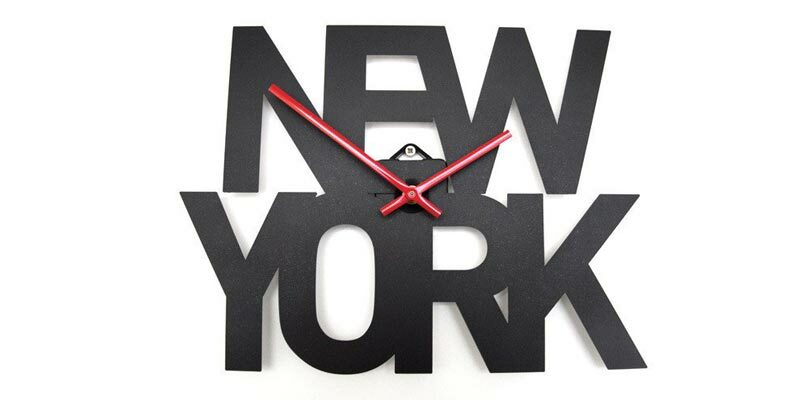 Not exactly super useful as you can access timezones much quicker on your smartphone, but these clocks look good enough to be bought only for their decorative value.